For the FMCG major is now turning into a major player in the food FMCG business, and one of its offerings, Yippee noodles, competes directly with Nestle's Maggi, which is the dominant player. For hotels-to-tobacco major ITC Ltd, the Maggi controversy couldn't have come at a worse time. Already reeling under the impact of the decision of the Maharashtra government to ban sale of loose cigarettes, ITC Ltd too has started suffering because of the controversy surrounding test reports that found high levels of lead and monosodium glutamate, or MSG, in samples. The Kolkata-headquartered conglomerate is now defensive, claiming that its products have undergone strict test in its own high-quality laboratories and have been found to be safe for consumption. "Stringent checks are undertaken for these products at ITC’s internationally benchmarked Life Sciences & Technology Centre as well as at reputed external laboratories. In all these tests, our food products have consistently been found to be completely safe for consumption and in compliance with all regulations," an ITC spokesperson told dna. The spokesperson didn't comment whether ITC has faced any query from any of the state governments or other agencies on the instant noodle controversy. Contrary to reports of Maggi's loss been ITC's gain with empty Maggi shelves being filled with Yippee, Wai Wai or Nissin Foods’s Top Ramen, a reality check throws up a different picture. Take Saiji Maggi Joint on the busy upmarket Park Street in the heart of Kolkata, not far from ITC's headquarters. It's one of the numerous outlets, otherwise selling cigarettes and soft drinks, that Nestle innovatively converted into Maggi joints across the country some years back. To counter Nestle's strategy, ITC once tried to convert that outlet into a Yippee joint stuffing the shelves with its own noodles. 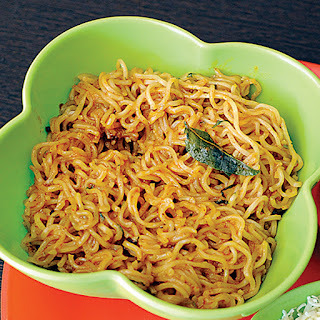 The outlet soon returned to its Maggi avatar under pressure from consumer demand. "Sales are down by as much as 80% these days. If we were selling, say, 200 bowls of cooked Maggi a day, it's now 20-30% at best that too after lot a convincing. Whatever is selling is just Maggi, while brands like Yippee and Top Ramen are not moving at all," said the proprietor of the shop. Nestle, meanwhile, said on Wednesday that hasn't till now received any orders from any state or central FDA authorities to recall Maggi noodle products in the market except an order from the Uttar Pradesh FDA dated asking to take back a batch manufactured in February 2014.